Holocaust descendants have launched a class-action suit in a US federal court in Chicago against France’s biggest national rail company SNCF, to get compensation for confiscated and sold personal property of those deported to death camps. They also want compensation for the fact the SNCF billed the Nazis for third-class train tickets, while the Holocaust victims were taken to concentration camps in cattle cars. “SNCF committed, conspired to commit and aided and abetted others who committed war crimes and crimes against humanity. Acting with full knowledge, SNCF was complicit in the commission of genocide,” the suit launched on Thursday, International Holocaust Remembrance Day, alleges. Personal property in the framework of the lawsuit included cash, silver, gold, jewelry, artworks, musical instruments, clothing and equipment, all “illegally, improperly and coercively taken from the ownership or control of an individual during the deportations,” the suit adds. In December, France struck a deal with the US, agreeing to create a $60-million Holocaust victims fund to compensate WWII deportees taken by French state railway company SNCF to death camps. “That agreement is a good first step, <…> but <…> too many people are left with nothing,” Steven Blonder of the Chicago law firm Much Shelist Denenberg Ament told AFP on the phone. “My hope is that this will be an impetus for SNCF to do the right thing… The population of Holocaust victims is dwindling, and there is a saying: justice delayed is justice denied,” he added. 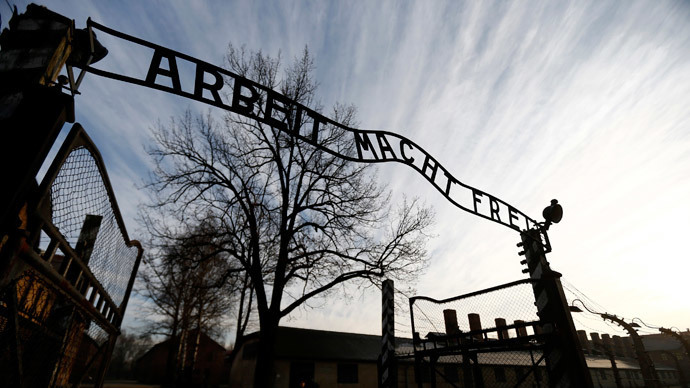 The lead plaintiff in the case is Chicago resident Karen Scalin, whose grandparents were sent from France to the Auschwitz death camp in Poland, occupied by Nazi Germany. They died there at the end of 1942. There are two other named plaintiffs, Josiane Piquard and Roland Cherrier, both French citizens living in France, who lost their relatives in Auschwitz after their deportation from France. SNCF has refused to comment on the matter. The US federal court has jurisdiction under international law, the plaintiffs emphasize. Despite the events of the suit having taken place almost 75 years ago, attorneys claim there is no statute of limitations violation, as SNCF revealed some of its archives as recently as in 2012.